Was an awesome place to stay, well equipped , new amenities mostly and clean, comfy bedding and well equipped villa, great little water park. Overall 5 stars, just the potholes in the roads in and out were shocking and need resurfacing. Great location, amazing staff, the plunge pools are fab! Away from the bustle but easily accessible to the highlights of Byron Bay and surrounds, Brunswick Heads is a picturesque town with a village atmosphere near a lovely river and surf beach. Byron Bay is cool, beach is lovely and this studio is in a good position just far enough away from the busy township but easily walkable. We had a lovely 2 night stay at Aloha Villas Byron Bay breaking up our drive back to Sydney from the Sunshine Coast. Make your flight on time when you stay at a Byron Bay airport hotel. Whether you are traveling for business or leisure, nothing is worse than missing an early morning flight. 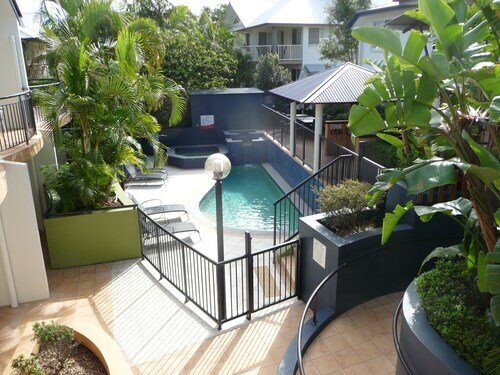 When you stay at a hotel near Byron Bay, you know you are just minutes from your departure gate. Maybe you’re heading into Byron Bay on a red-eye flight. Booking a hotel near Byron Bay means you can make your way to a warm, comfortable bed in no time after landing! 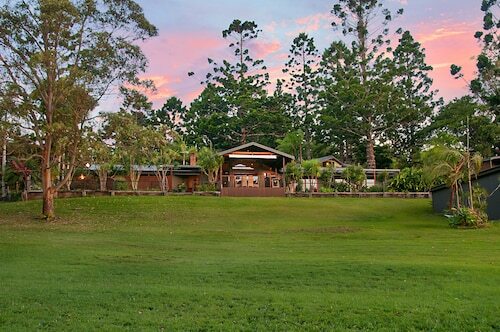 Find plenty of Byron Bay airport accommodation deals when you book with us here on Expedia.com.au. 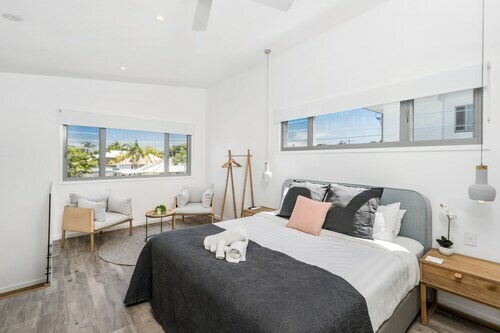 It’s easy to choose a Byron Bay hotel by viewing our selection of 869 featured hotels near Byron Bay or searching for a hotel by theme, brand, or hotel class.